I can almost smell the turkey, cornbread dressing, pumpkin pie, and rolls! In a few days all of these yummy goodies will be available for me to piled high on my plate, but this year I’ve been on a health journey which has had me consistently losing 1 pound a week. I LOVE the smells and taste of the holidays. I also love the way being healthy feels, so this year I’m determined to keep my portion sizes reasonable and use a few tricks and tips to shave over 1000 calories off my typical Thanksgiving meal. 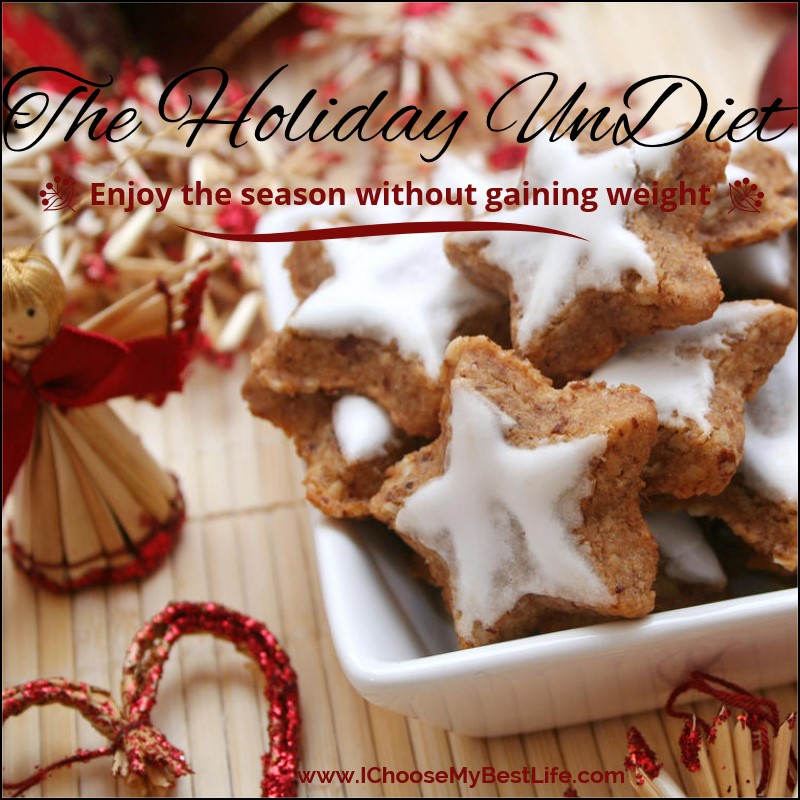 If you did not get the I Choose My Best Life newsletter you can read about The Holiday UnDiet by clicking HERE and join us! Hint: It’s NOT a diet! 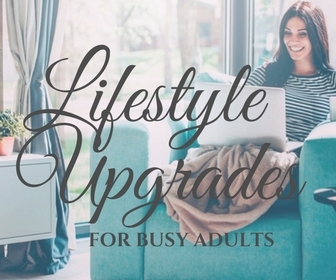 You will definitely want to sign-up for the newsletter, so you don’t miss any of the updates and freebies. 1. 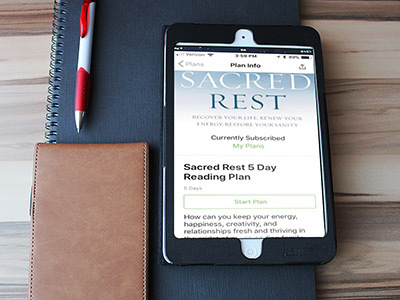 Plan For Success – Thanksgiving Day is not the time to splurge on a big pancake breakfast. Start the day with a little planning. Determine how many calories you have for the day. 2000 is a good starting point for most of us. Expect to use 1000 for your Thanksgiving meal and divide the remaining 1000 among your remaining meals and snacks. Even if you are on a weight loss plan having one 2000 calorie day will not derail your plan. It’s much better than the usual 4000+ calories the typical person consumes on Turkey Day. 2. Start with a Light Breakfast – Begin the day low on simple carbs by avoiding breads, muffins, and packaged cereals. Concentrate on getting lots of fiber and lean proteins to give you an AM energy boost. Oatmeal, fresh fruit, and an omelet (approx 400-450 calories) would be a great way to kick off your day. A chemical in eggs has been shown to improve mood and some of us need all the help we can get when dealing with difficult family members during the holidays. 3. Eat Something Every 2-3 Hours – Yes it sounds counterproductive, but THIS WORKS! Hunger is the enemy of every person trying to lose weight. For many years I would try to skip meals at the holidays in a futile attempt to conserve calories for the big meal. By the time dinner arrived I would be so hungry I would almost eat myself into oblivion. A better approach is to plan small snacks between breakfast/lunch and lunch/dinner. If you are doing 2000 calories for the day, consider allocating 400-450 calories for breakfast and lunch with a piece of fruit for each snack. Apples, oranges, bananas, and berries take very little prep work, and they will prevent the desire to overeating later. Omit marshmallows, heavy whipping creams, and ice cream as toppings your desserts. 5. Practice Portion Control – When I think about portion control I’m often reminded of God’s instructions to the Israelite’s in regards to the manna He provided for their daily nourishment. As you spoon mashed potatoes, gravy, cranberry sauce, and turkey onto you plate be mindful that today is one day. You can always take home leftovers for another day. Make a point of enjoying those special foods you don’t get often but keep the portions reasonable, approximately 1/4 – 1/2 cup for most sides and 3-4 oz for most meats. Do you need to weigh things out? Of course not, just eyeball it. It’s all about being intentional in your planning. 6. Slow Down and Enjoy – Busy people eat quickly and everyone is busy these days. Resist the temptation to eat this meal in a hurry. Savor the meal, the memories, and the loved ones around the table. Stop at times during the meal to talk to those with you. It takes 20 minutes from the time you begin your meal for your brain to send the signal that you are full. This is especially important when it comes to desserts. By eating slowly and mindfully, you can still enjoy your favorite holiday treats by limiting yourself to only a few delicious bites. 7. Start a New Healthy Family Tradition – Many families sit around the Thanksgiving table and share what they are thankful for. This year start a new family tradition and do a Thanksgiving family walk. Thank God for bodies capable of action, enjoy the beautiful fall scenery, and connect with those you love around something other than food. Other healthy alternatives include a family flag football game or run a family 5K. 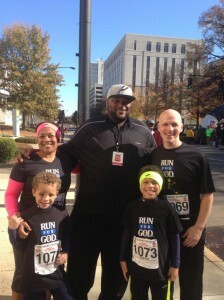 Below is a picture of my family and I after a run a few years ago where we met Ruben Studdard! Got any tricks or tips you use to help cut calories at the holiday? Let me know in the comments below. Wishing you and yours a HEALTHY & HAPPY THANKSGIVING! 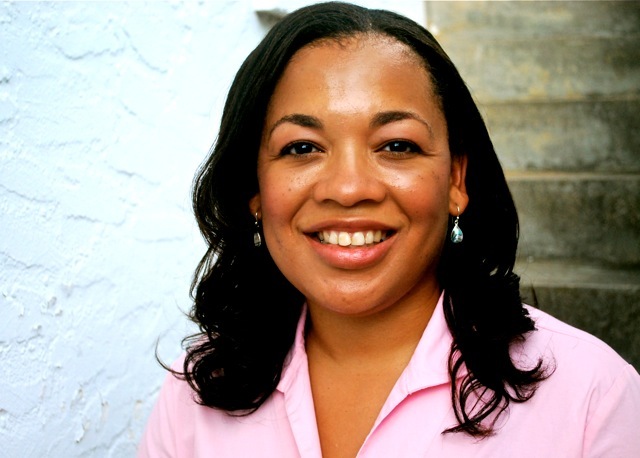 Saundra Dalton-Smith is an internal medicine physician, author, speaker, and hope activist. 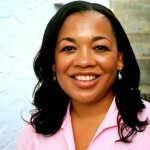 She shares with audiences nationwide on the topics of eliminating limiting emotions and helps them see their options in life. 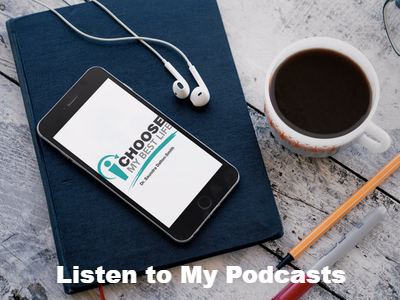 She is the founder of I Choose My Best Life, a movement to renew hope in a generation where depression, stress, and fear is peaking. 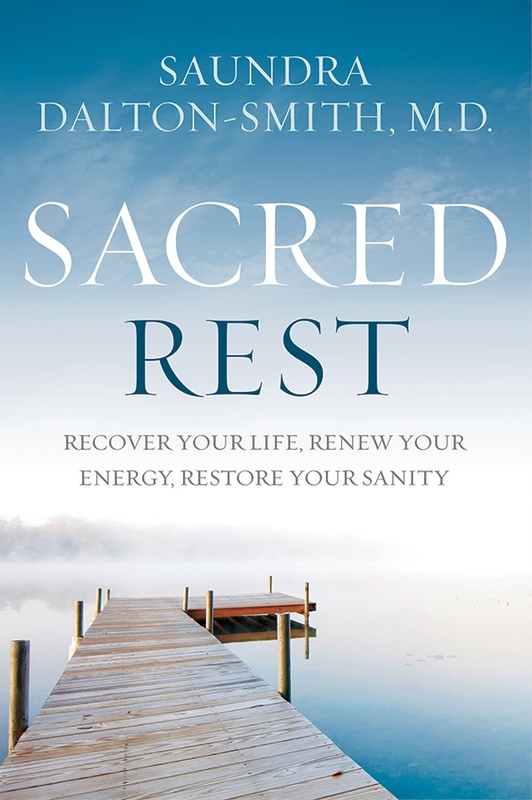 Her books include Set Free to Live Free: Breaking Through the 7 Lies Women Tell Themselves (2011) and Come Empty: Healing For Every Place Life’s Hurt You (2015). ok.. went to the dr. today.. already gained 2 lbs. since last week.. something has got to give.. time to get the ball rolling and loose this weight I’ve gained since July!! I will need all the help and motivation I can get!! Today’s a great day to get the ball rolling! Posting some additional encouragement for us all today Coleen. Will have the Guilt-Free Fast Food guide available for download by this weekend. Be looking for it in this Sunday’s newsletter.